Ganesh is an Indian Actor, who is working in Tamil television industry. He was born on 1992 in Chennai, Tamil Nadu. He completed his secondary education at P.A.K Palanisamy Higher Secondary School, Chennai. He has a Diploma studies from V.Ramakrishna Polytechnic College, Chennai. Ganesh made his acting debut in the Tamil television serial “Priyasaki” along with Mithra Kurian, directed by Parameshwar and produced by Tamillarsi Muthusselven. He also acted with popular actresses like Nikila Rao, Srithika, Priyanka Nalkar Rao, Shamili Sukumar and Sowmya Sharada. He has appeared in some well known television serials such as Kula Deivam and Roja. 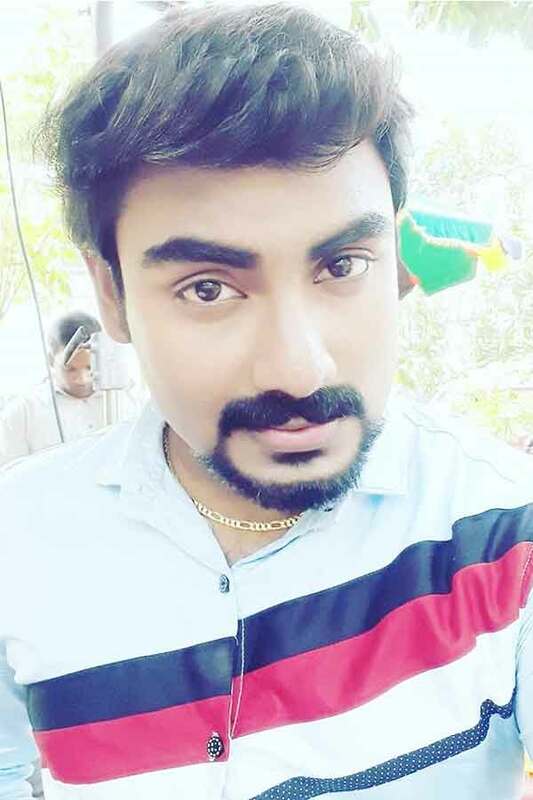 Ganesh currently doing the supporting role in Siva Manasula Sakthi serial along with Thanuja Gowda in Vijay TV and negative role in Gopurangal Saivathillai serial along with Anshu Reddy in Jaya TV. Ganesh SD as Praveen role in Kula Deivam serial. Ganesh as Siddhu role in Siva Manasula Sakthi serial. Ganesh as Karthik role in Gopurangal Saivathillai serial.